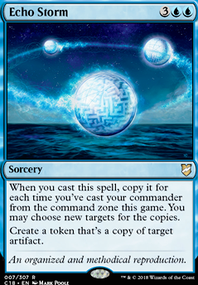 Do copies of Jace, Cunning Castaway die when copied by Brudiclad? BadGuyJack on Treasures + Clues! Hey! I've considered Brudiclad, Telchor Engineer but I don't really know what I would cut for him. Any suggestions? 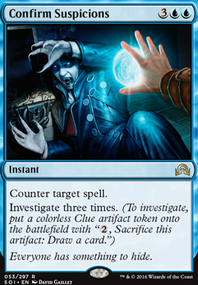 Mj3913 on Treasures + Clues! Brudiclad, Telchor Engineer is nice to amass what you need to win. 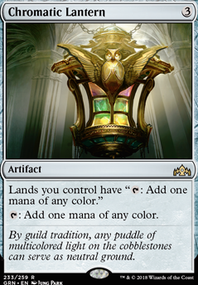 If you're going wide with thopters I'd cut these cards: Swiftfoot Boots , Urza’s Tome , Endless Atlas , God-Pharaoh's Gift . 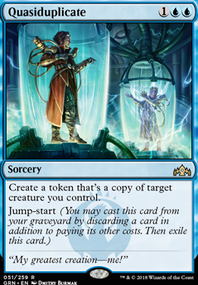 Since most of your artifacts will be tokens, I don't think Padeem, Consul of Innovation and One with the Machine will be that effective unless you just want hexproof from Padeem. Same with Metalwork Colossus (not much cost reduction) and Traxos, Scourge of Kroog won't trigger that much. 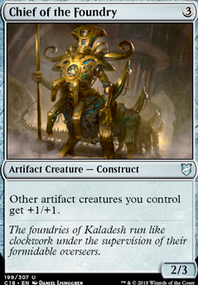 I don't think Ancient Stone Idol and Brudiclad, Telchor Engineer really fit the theme. I don't think you need as many mana rocks since Saheeli discounts everything. 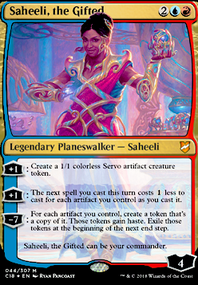 I'd shift more to be 2 cost mana rocks if anything so Saheeli gets out faster. You don't really need the ones that cost like 6 and make 3. 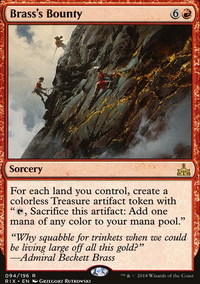 Magmaquake is a great card that doesn't wipe your thopters - if you need more board wipes I'd do more like that. 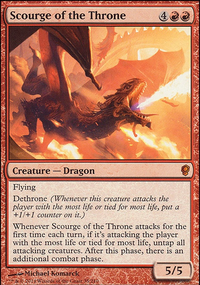 Deprive is bad just use Counterspell instead. 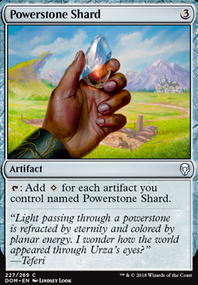 Some recommendations: Ghirapur AEther Grid , Pia Nalaar , Broodstar , Darksteel Juggernaut , Steel Overseer , Lodestone Myr , Blinkmoth Urn and Gravitational Shift . Check out cards with Metalcraft too, there might be some good ones and you'll basically always have it active. It is not that much a question about priority, but rather about steps. Beginning of combat step - effects that trigger on beginning will trigger here Brudiclad, Telchor Engineer . The each player gets priority to do stuff, if all pass proceed to next step. Declare attackers step. Once in this step declaring attackers it doesn't use stack to make a creature attack. For example you declare Ballista Charger as an attacker and its trigger goes on the stack. While in this phase the opponent can't say wait I'll kill it so it doesn't deal me 1 damage. If he wants to avoid the damage he has to kill it in the previous step. 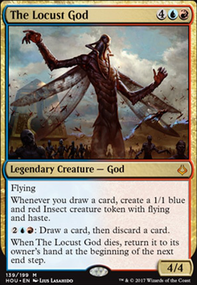 After attackers are declared players get priority, and may case something like Gideon's Reproach to kill a creature. Another important point in your case if your opponent wants to block with Smuggler's Copter he has to crew it in this phase or before it, any crewing after that will render it unable to block. Declare blockers phase. Again doesn't use the stack. Creatures that are alive in this phase can be assigned as blockers. Once you declare a creature as a blocker for an attacking creature, it is considered blocked for the rest of the combat. The opponent can do something like, I'll kill your creature so my creature suddenly gets unblocked and damages you (if it has trample it can still damage you if blocker is removed), or enables ninjutsu Ninja of the Deep Hours . Also if the opponent crews Smuggler's Copter in this phase it will be once blockers are declared and it will be alive but not assigned as blocker. So in other words your opponent has to crew Smuggler's Copter in declare attackers phase or before it, but can't assign it as a blocker until the next step. You can freely exile it once priority gets back to you at the end of the crew action. in this example, only 1 token is actually entering the battlefield, and thats the 2/1 myr that Brudiclad, Telchor Engineer makes at the beginning of combat. 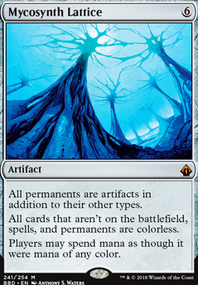 but it does not enter as a planeswalker. 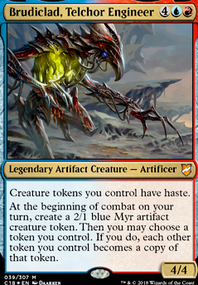 Brudiclad, Telchor Engineer creates a 2/1 myr token, and then your myr tokens become copies of the Jace, Cunning Castaway tokens. since none of the tokens are entering the battlefield as planeswalkers (rather, their card type is merely changing), they do not gain any loyalty counters, and would immediately be sent to the graveyard. 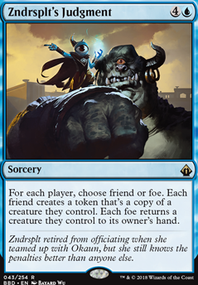 I use Brudiclad, Telchor Engineer to copy the tokens created by Jace, Cunning Castaway while I have Oath of Gideon on the battlefield. 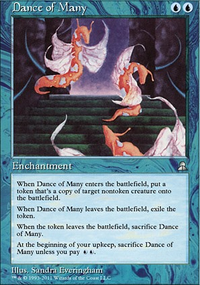 Do the tokens enter the battlefield with 1 loyalty, and therefore survive?